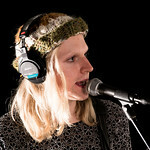 The Berkshire band Sundara Karma is part of the wave of vibrant British guitar bands releasing impressive debut albums in 2017, like Blaenavon and The Big Moon. 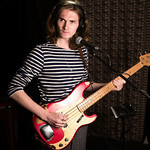 But Sundara Karma’s first full-length album, called Youth Is Only Fun in Retrospect, also comes from a deeply personal place for lead singer, songwriter and guitarist Oscar Pollack. 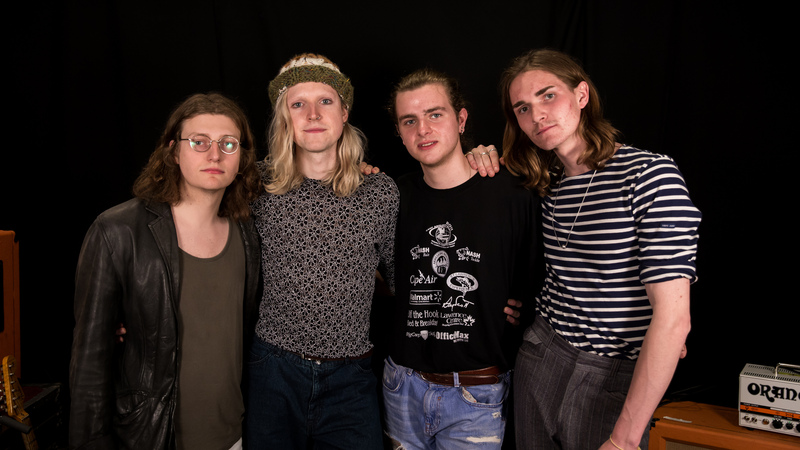 Sundara Karma’s songs, like “Olympia” or “Loveblood,” can be construed as anthems of young love, but they also thoughtfully touch on the struggles of adolescence, isolation, family discord, spirituality and depression. 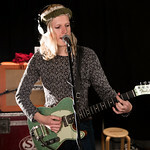 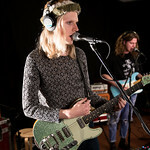 Sundara Karma’s charismatic live shows and early singles garnered them enthusiastic support from BBC Introducing which added them to BBC Music Presents first U.S. tour in 2016. 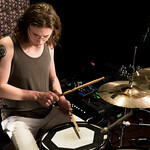 At SXSW 2017, WFUV also caught up with Pollack and drummer Haydn Evans for an intimate performance at Hotel San Jose. 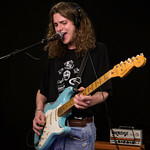 The entire band, which also includes lead guitarist Ally Baty and bassist Dom Cordell, made its way to Studio A this spring for a session. 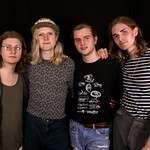 They talked about their Reading roots, their love of American bands, and the beautiful karma that defines the band in name and mission.